Ukrainian technology satellite. Development tests of atomic clocks. 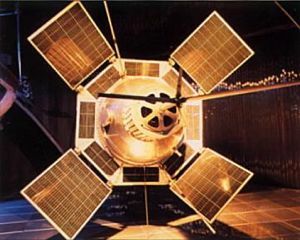 Science, Principle of relativity satellite built by Yuzhnoye, Russia. Launched 1965 - 1967. Used DS Bus. Status: Operational 1965. First Launch: 1965-11-26. Last Launch: 1967-03-03. Number: 2 . Gross mass: 260 kg (570 lb). Family: Technology, Technology satellite. Country: Ukraine. Launch Vehicles: Kosmos 2, R-12, Kosmos 11K63, Kosmos 63S1M. Launch Sites: Kapustin Yar, Kapustin Yar LC86/1. Agency: MO, Yuzhnoye. Bibliography: 2, 6, 99, 12282. 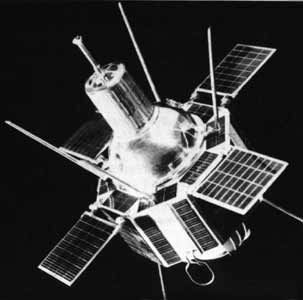 Other satellites in the DS-U2-M series had a similar appearance. 1965 November 26 - . 12:14 GMT - . Launch Site: Kapustin Yar. Launch Complex: Kapustin Yar LC86/1. LV Family: R-12. Launch Vehicle: Kosmos 11K63. 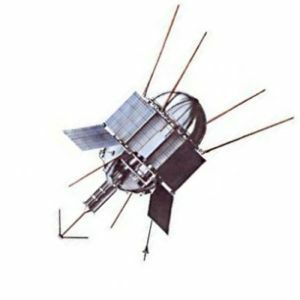 Cosmos 97 - . Payload: DS-U2-M s/n 1. Mass: 267 kg (588 lb). Nation: Russia. Agency: MO. Program: DS. Class: Technology. 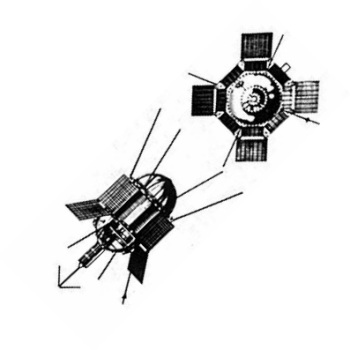 Type: Navigation technology satellite. Spacecraft Bus: DS. Spacecraft: DS-U2-M. Completed Operations Date: 1966-01-23 . Decay Date: 1967-04-02 . USAF Sat Cat: 1777 . COSPAR: 1965-095A. Apogee: 2,144 km (1,332 mi). Perigee: 214 km (132 mi). Inclination: 48.40 deg. Period: 108.90 min. Development tests of atomic clocks..
1967 March 3 - . 06:44 GMT - . Launch Site: Kapustin Yar. Launch Complex: Kapustin Yar LC86/1. LV Family: R-12. Launch Vehicle: Kosmos 11K63. Cosmos 145 - . Payload: DS-U2-M s/n 2. Mass: 250 kg (550 lb). Nation: Russia. Agency: MO. Program: DS. Class: Technology. Type: Navigation technology satellite. Spacecraft Bus: DS. Spacecraft: DS-U2-M. Completed Operations Date: 1967-04-30 . Decay Date: 1968-03-08 . USAF Sat Cat: 2697 . COSPAR: 1967-019A. Apogee: 2,107 km (1,309 mi). Perigee: 226 km (140 mi). Inclination: 48.40 deg. Period: 108.70 min. Development tests of atomic clocks..